*Note: The .Net Compact Frameworks 2.0 and 3.5 can be found in the Compact Frameworks folder of the Pocket Inventory Installation files once they are downloaded. 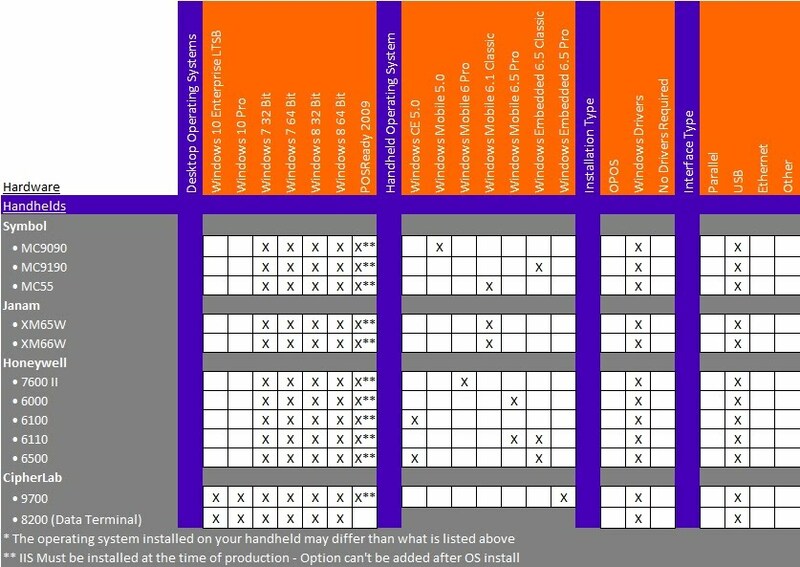 Note: The above Handheld Operating Systems come pre-installed on the Handheld Devices as listed in the Hardware grid. pcAmerica can only support the configurations shown in the Hardware grid.